Council leaders across Lancashire are attempting to revive proposals for a devolution deal. Fourteen of the county’s 15 councils agreed to form a ‘Lancashire Leaders’ partnership, with Fylde BC the only council that did not join in the discussions. The news comes the same day LGC revealed the county council may not be able to deliver a balanced budget by 2020-21. The partnership is chaired by Lancashire CC’s leader Geoff Driver (Con) and vice-chaired by Blackpool BC’s leader Simon Blackburn (Lab). Councils in Lancashire submitted a request to the government to form a combined authority in June 2016, titled the “Lancashire Plan”. However, last November, four councils, including the county, pulled out of the process a matter of days after Northern Powerhouse minister Jake Berry had said Lancashire was among a handful of places in the north that should be seeking a devolution deal with an elected mayor. 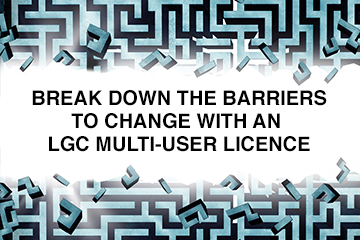 While devolution discussions have now been revived, LGC understands leaders are currently unwilling to use the term ‘combined authority’ in describing any possible future organisation as the term has become unpopular with a number of leaders. Cllr Driver said: “All the leaders know it is in the best interests of the county to work better together but the important thing is that we get the mechanism for how we do that right. “We’ve been having positive discussions since the early part of this year and we’ve now formed a new collaboration that will see us work together on topics such as transport, jobs and housing, which affect the whole county, and this group will drive forward negotiations with government to see if they will devolve meaningful power and investment to us to make sure this great county plays an important role in the Northern Powerhouse. Cllr Blackburn told LGC that local government reorganisation was not currently being discussed, adding that any devolution proposal would be “in line with the Lancashire Plan that we’ve been working on for 18 months”. Lancashire CC has appointed Angie Ridgwell as permanent chief executive and director of resources. Lancashire CC’s finances are currently at a “tipping point”, according to auditors Grant Thorton which have issued a warning over the county’s continued use of reserves. Lancashire County Council’s cabinet has decided that most halal meat provided to schools must be from animals stunned before slaughter, in a move likely to cause controversy with Muslim communities. After one of the worst decades for productivity growth in the UK’s modern history, few people now doubt the scale of the country’s productivity problem. What has been less clear is its cause and how to tackle it.